Creed: Rise to Glory‘s next big update is officially out. Dubbed Rocky Legends, this update is bringing a lot more than the previously confirmed Apollo Creed. 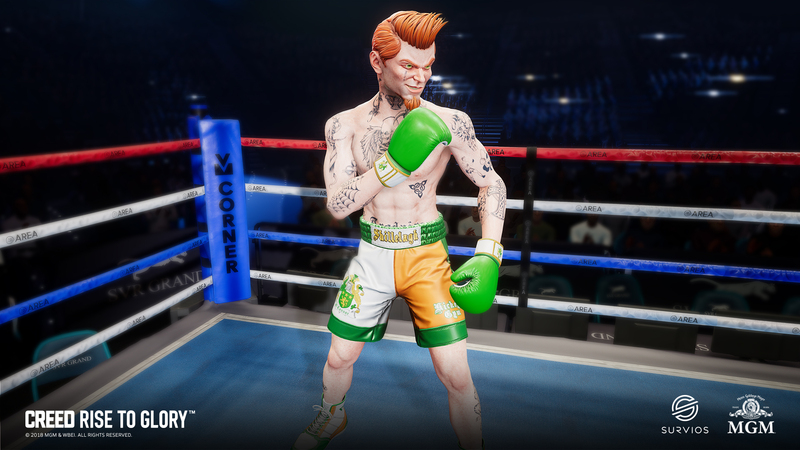 As predicted, Ivan Drago, James “Clubber” Lang, and Rocky Balboa (who was already available as a PlayStation VR exclusive character) are all stepping into the ring as part of the Freeplay and PvP rosters. This content update is completely free. Featuring all the main characters from the first four Rocky films, this addition essentially puts the old 2004 Rocky Legends video game in virtual reality. While having more players to fight against and fight with is great, fans are still asking for more story beats to be added into the game. The complexity of that task, compared to simply adding fighters, makes this unlikely, but you never know. After all, so far all these content updates have been free. Perhaps Survios will release more substantial paid DLC in the future. For now, you can face off against classic foes in what has become the most comprehensive Rocky game to date, spanning the original films and the new Creed line of the franchise. Will this update get you (back) into the game? Pack a punch in the comments below. Take it all out on the punching bag or your opponent in Creed: Rise to Glory, which is available now on the PlayStation VR, HTC Viva, and Oculus Rift.